We no longer carry the 1989-93 Mustang Pro-M 80mm Mass Air Meter & Air Filter For 38lb Injectors 5.0. Increase the power in your 1989-1993 Ford Mustang 5.0 with this 80mm Pro-M mass air meter for 38lb injectors and air filter! Upgrade your stock mass air meter on your Fox with a 1989-1993 Mustang Pro-M mass air meter! 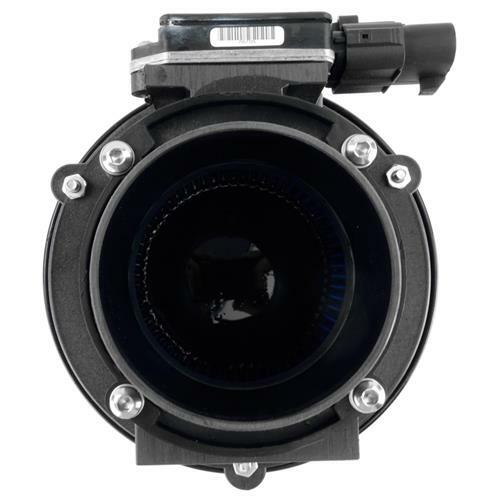 This Pro-M mass air meter features a massive 80mm tube that allows you to really open up your engines air intake! When installing a larger mass air meter on your car you are allowing more air to enter your engine. This helps produce more horsepower and an increase in throttle response by the sensor relaying a message to your computer that more air is coming in. 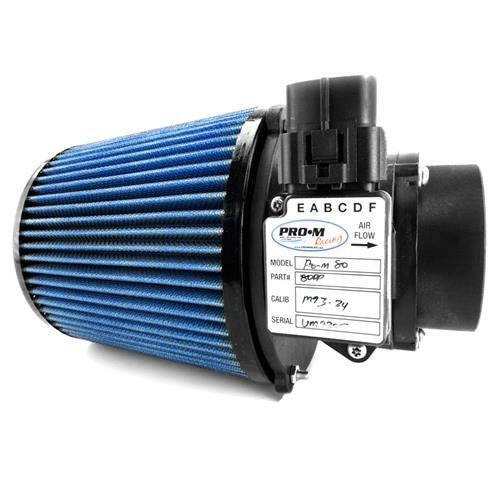 This allows more fuel to be added to maintain the proper air to fuel ratio. This Pro-M mass air meter come with factory connections allowing for a quick and easy installation! Also features a high flow integral air filter. This part number is designed to only work with 38lb fuel injectors and an air filter!